Appearances can deceive. The scoreboard suggests Williamstown Colts are playing. In fact the one-day game at Edwards Reserve on Saturday 17 November was between victorious Spotswood (all out 230) and Sunshine Heights Knights (8/220). 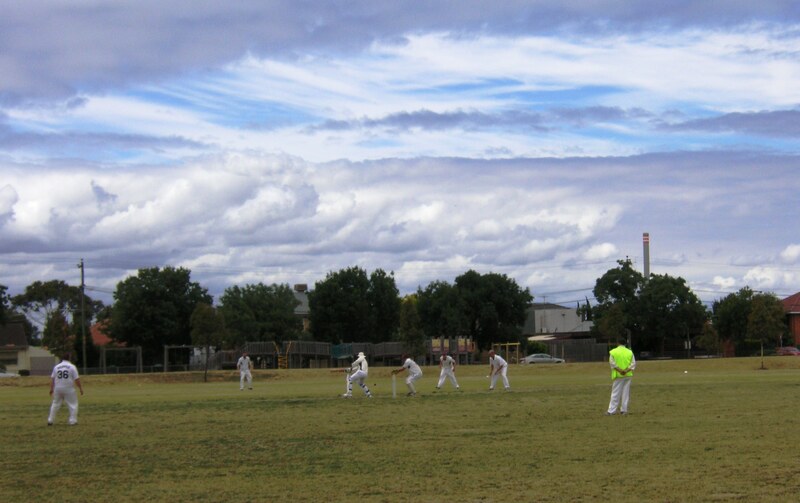 Edwards Reserve is a small, plain suburban ground in Melbourne’s western suburbs. Basic brick pavilion. Bumpy surface. Kids play in the cricket nets or on the half-size basketball court. Or on the timber playground. Goods trains rumble by regularly. The 432 bus now and then. Milk bar around the corner. And impressive clouds. 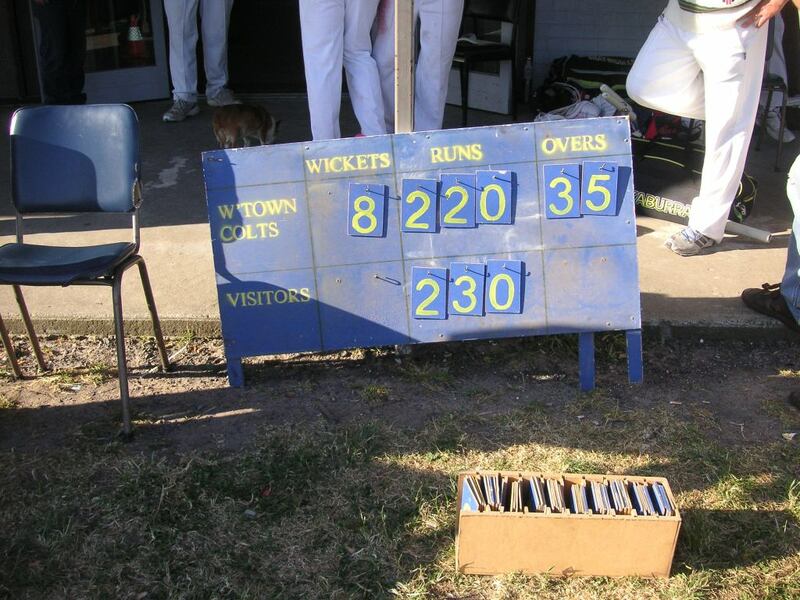 Wicket To Wicket, Scoreboard Pressure’s South Australian cousin, has more details about Spotswood’s win. Good to see Newport Power Station chimney in the background – the Eiffel Tower of the inner west.